Bee Balm flowers are a burst of sunshine. Cambridge Scarlet Bee Balm (top), Aquarius Bee Balm (middle), and Jacob Kline Bee Balm (bottom) make great additions to our Edible Flower Herb Garden Six Pack. Leaves can be dried for tea. Plants die back to the ground in winter and reemerge in the spring. 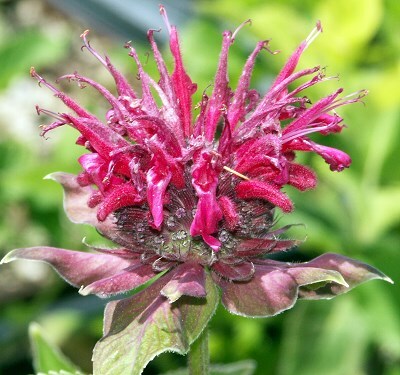 Visit our Lavender Bee Balm page for more information on Monarda. 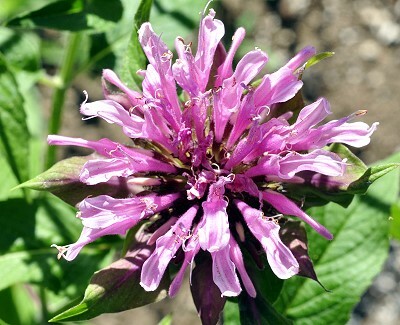 Bee Balm is one of the six plants chosen to be in our Crafter's Herb Garden for Zones 5-11. This plant is often available in plug trays. These trays hold 128 of all the same plant. They are a great low cost way to fill a lot of space. Each cell is 3/4 of inch by an inch. 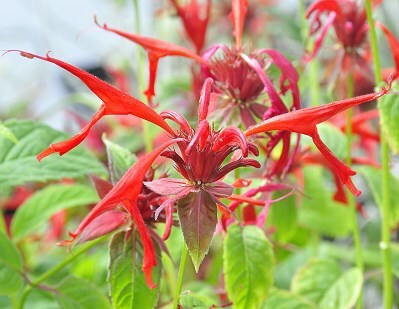 Check here to see if Bee Balm Plug Trays Trays are available.